HTC invited us to an event last week, they promised a surprise and they didn’t disappoint. 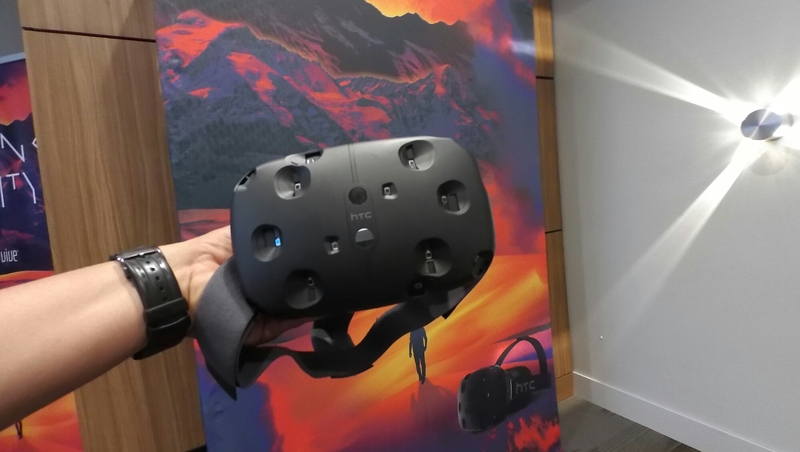 HTC decided to show off its new virtual reality device called the Vive. At first we thought we were just going to get to hear about the device and play with the dummy units, but then they informed us that they were setting up the Vive in the other room for all of us to try out. Full disclosure: I’m a member of HTC Elevate, an exclusive community of HTC customers. That was the reason for my invite to the event. As a member we’re invited to give feedback and constructive criticism, and occasionally we’re invited to events like these so that we can experience some of the latest and greatest technology from HTC. HTC has built its reputation on making high quality Android and Windows phones. They have been doing this long before Android even existed. Enter the HTC Vive. This may be the biggest outlier in HTC’s brand history, some would say it’s their biggest risk. The big question is, will it pan out? And will it be worth the venture? Due to a few technical difficulties, I waited most of the night just hoping I’d get a chance to experience virtual reality first hand. 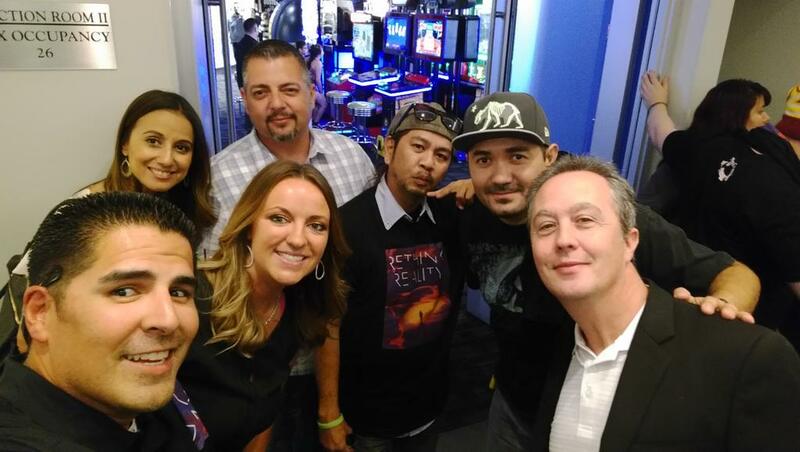 HTC threw a great little get together and had plenty of HTC employees there to field questions and give us insight. So I spent most of the time talking with them as well as friends from within Elevate. That alone made the get together worthwhile. As I began to notice people exiting the Vive demo, it struck me that this would be a great opportunity to get feedback from individuals immediately following the virtual reality experience. Just a few weeks ago I began to explore Meerkat and Periscope. As I did, I began to consider good use for live streaming apps like that. This was the perfect storm and I knew it when I met Paul. Paul came out of the demo with a euphoric smile on his face. As people gathered around him to ask him what he thought, I decided to take a candid shot. It came out blurry because he couldn’t stay still, but it led me to turn on Periscope and ask more questions. You see virtual reality is something that most of us have only dreamed about or have seen in futuristic movies. That we could see it in the hands of the consumers, that’s been more fantasy than reality. Until now, and that is more evident to Paul than maybe any of us could have even fathomed. You see, Paul didn’t walk out of the virtual reality demo. He rolled out. He’s a paraplegic. And virtual reality brought something more for him than the rest of us had even considered to that point. Paul was able to see and experience things in these virtual reality worlds that he doesn’t always get to do in this world. One of the scenarios Paul was presented was an underwater world, standing on a boat deck. 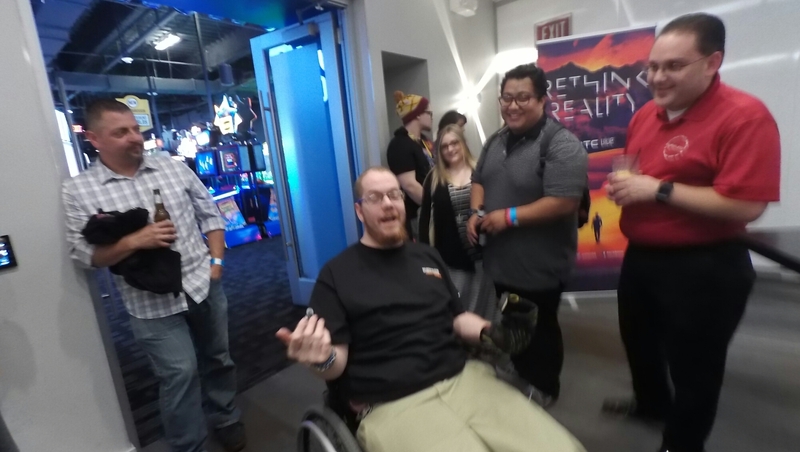 With controllers in his hands, Paul was unable to explore the world so an HTC Dev team member stepped in and offered to push his wheelchair. Paul said it felt like he was actually swimming in the environment and he was hooked. Paul and I agree, what HTC has here is something the world has not seen at this level. We’ve only dreamed of it. There is so much potential to the Vive that the possibilities are endless. Many of the competing VR simulators are presenting more of a sphere of photos that you can see off in the distance. But what the HTC Vive brings is a fully immersive virtual reality world that Paul had never experienced before. As many of us hope to get more immersive gaming from the Vive, Paul helped me see that virtual reality could be used for so much more. Paul was doing the imagining now. What if scenarios could be created where orthopedically impaired individuals could experience things they may not be able to in real life, such as rock climbing? Paul mentioned other locations like The Great Wall of China. These are places Paul or many of us might not ever be able to explore in the real world. Paul walked away awed and amazed. In the end I finally got my chance and Paul didn’t over sell it. The Vive lived up to the hype. I really felt like I was underwater exploring the sea floor. The HTC Vive developer edition is available now. The consumer version is scheduled for holiday season 2015. Thank you Ahmad, I really appreciate the shares. I’m glad you enjoyed the article.